The Luxe-Domain is pure luxury. When you present your products or services at .luxe, you stand out from the general average range. Luxury comes at a price: A standard Luxe domain costs 84 US-Dollar/year in the General Availability Period. 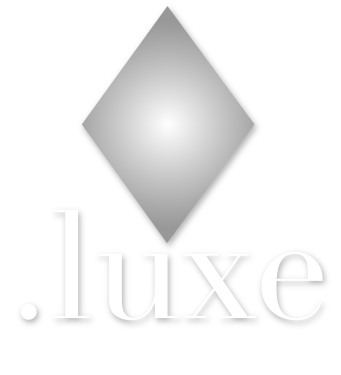 The Luxe-Domains are designed to be accessible via DNS for traditional Internet activities (websites, e-mail, etc.) as well as for public addresses of Ethereum-based products / services (crypto wallets, smart contracts, remote apps , etc.) - unlike the 40-character hashes that currently identify all of Ethereum's blockchain-based elements. The market potential - both current and potential - is significant as more than 26 million wallets are in use today. Ethereum Name Service has tested the concept of replacing 42-character addresses with words as a public identifier. Since May 2017, they have generated approximately 300,000 registrations and deposits totaling $ 28 million in their .eth zone not authorized by ICANN. There are over 41 million Ethereum identifiers, commonly known as hashes, that have been generated to date. Many are for Ethereum based wallets - with over 26 million crypto wallets now in use. Create a simple, readable .Luxe name instead of a 42-character wallet address ('myname.Luxe instead of '0x466f6de234aeca0e1a…') that lets you transfer funds more easily on a peer-to-peer (P2P) basis or to businesses that accept Ethereum. Step two: You as the customers securely associates the Luxe-Domain to your existing 42-character wallet address (0x466f6de23…). Holders of a .eth-Domain can register the corresponding .luxe-Domain at a preferred price of 60 US-Dollars/2 years. By clicking at the button, you confirm a free, but binding pre-registration of (a) New Top Level Domain (s), which will cost at succesful registration 60 US-Dollars resp. 84 US-Dollars/Domain and year and that you have read and accepted Trade Conditions, Registrants Rights and Responsibilities, the Uniform Domain Name Dispute Resolution Policy and the policies of the registry.